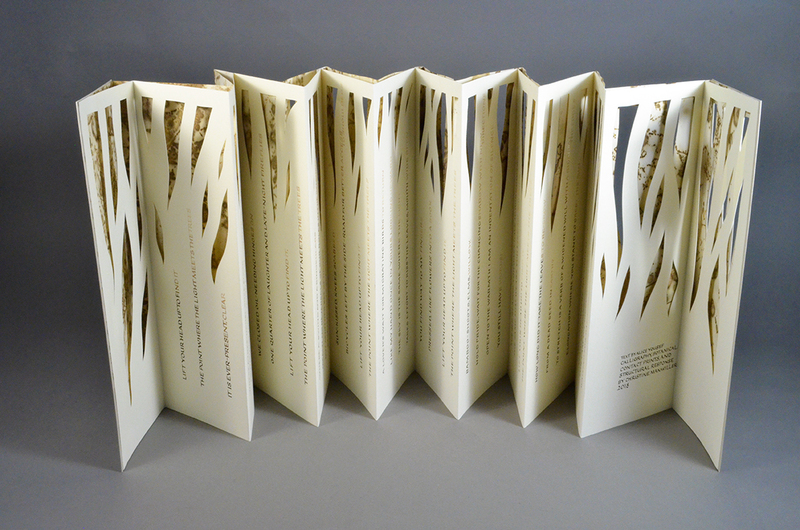 Christine Manwiller's piece Where the Light Meets the Trees was accepted into the 2018-2019 Guild of Book Workers’ national traveling exhibition Formation. The book was produced as part of a series of thirteen artists books that make up Manwiller’s 2018 MFA thesis work—the text for which was written by University of Iowa International Writer’s Workshop poet Alice Yousef. In the next 18 months the exhibition will travel to venues in Minneapolis (MN), Atlanta (GA), Los Angeles (CA), Boston (MA), and Philadelphia (PA). For more information about the exhibition, visit the Guild of Book worker’s website (https://guildofbookworkers.org/).